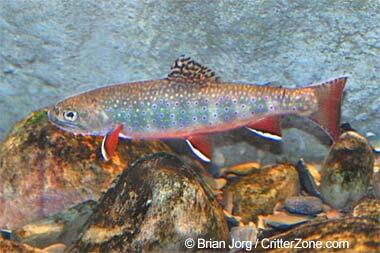 Brook trout exhibit; photo by The Wild Center on Flickr (noncommercial use permitted with attribution). West Virginia’s sportsmen selected the official state fish in a poll conducted by the Department of Natural Resources. The brook trout was selected almost unanimously over smallmouth bass, largemouth bass, musky, and bluegill. 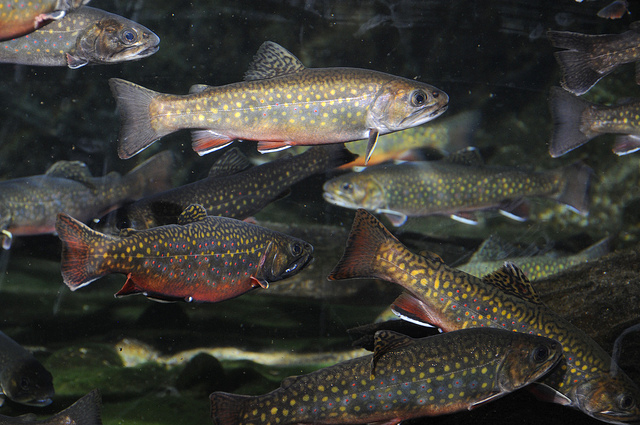 The brook trout is easy to recognize with its vibrant, distinctive colors and feisty nature, "perhaps mirroring the freedom-loving Mountaineer spirit" (WVlegislature.gov). A native West Virginia species, brook trout live under water conditions that are cool, clean and pure.